Subaru Canada’s sales surge with record-breaking June results; 4,332 units sold with an increase of 22.5 percent over June 2014. Year-to-date results up 15.4% as Japanese automaker celebrates 18 consecutive record-breaking months, one of the longest streaks in company history. Best June ever for all regions. MISSISSAUGA, ON, July 2, 2015 /CNW/ – Subaru Canada, Inc. (SCI) today announced record-breaking June results. With sales up 4,332 units this month, it represents an increase of 22.5 percent over last June. Year to date, sales are up 15.4 percent as the Japanese automaker celebrates its 18th consecutive months of growth. Across Canada, every region celebrated milestone June sales: the Atlantic region increased by 38.9 percent, Quebecwas up by 15.5 percent, Ontariogrew by 34.7 percent and the Western region increased by 13.4 percent. The Forester – Subaru’s volume leader this June – sold 1,264 units this month, an increase of 6.5 percent. The Subaru Outback retailed 841 units this month with growth of 57.5 percent over last June. Subaru’s fun-to-drive compact car, the Impreza, also experienced growth as sales rose by 24.8 percent with 805 units retailed. 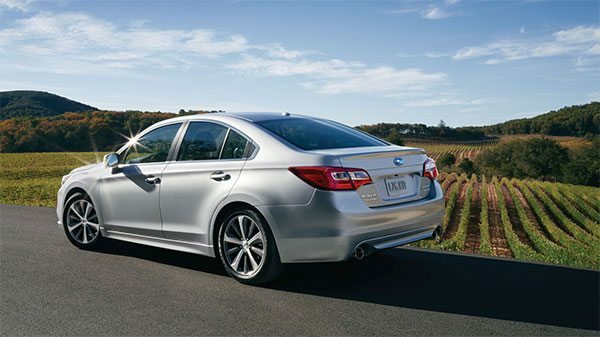 The Subaru Legacy – which was named Canadian Car of the Year by AJAC (Automobile Journalists Association of Canada) after claiming the segment award as Best New Family Car under $30K – sold 312 units in June, resulting in a skyrocketing sales increase of 108 percent. The Subaru XV Crosstrek also experienced sales growth in June with results up 14.5 percent and 752 units retailed. Click here for a complete lineup of Subaru vehicles.